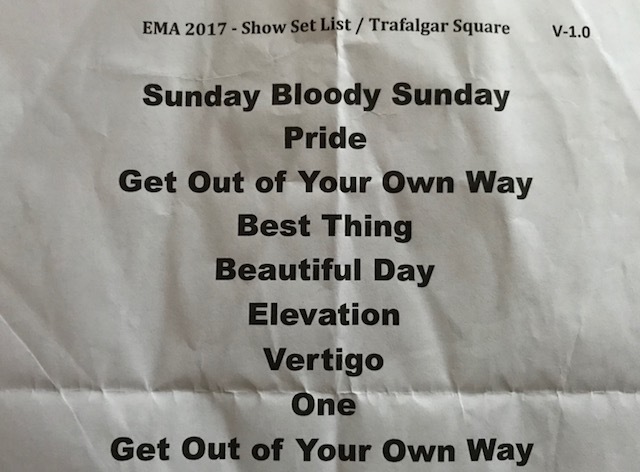 Am späten Dienstagabend (US-Westküstenzeit) sendete U2-Manager Guy Oseary eine formelle Antwort auf die von Fans geäußerten Sorgen über den Ticketvorverkaufsprozess für die eXPERIENCE+iNNOCENCE Tour der Band. Eine Gruppe von U2 Fans weltweit - von denen viele für U2 Fanseiten arbeiten - hatten diese Sorgen am vergangenen Freitag in Form eines Briefes an U2 und ihr Management gesandt. In diesem Brief wurde, neben anderen Problemen, angesprochen, wie die Presale Codes verteilt wurden, wie Presale Tickets den Vorverkaufsgruppen zugewiesen wurden und dass ein Mangel an Transparenz im Vorverkaufsprozess wahrgenommen wurde. Um für unsere Leser transparent zu sein, präsentieren die Fans und Fanseiten, die in diese Konversation involviert waren, unten stehend sowohl unseren Brief an U2 und ihr Management als auch Guy Osearys Antwort. Beide Briefe werden komplett veröffentlicht. 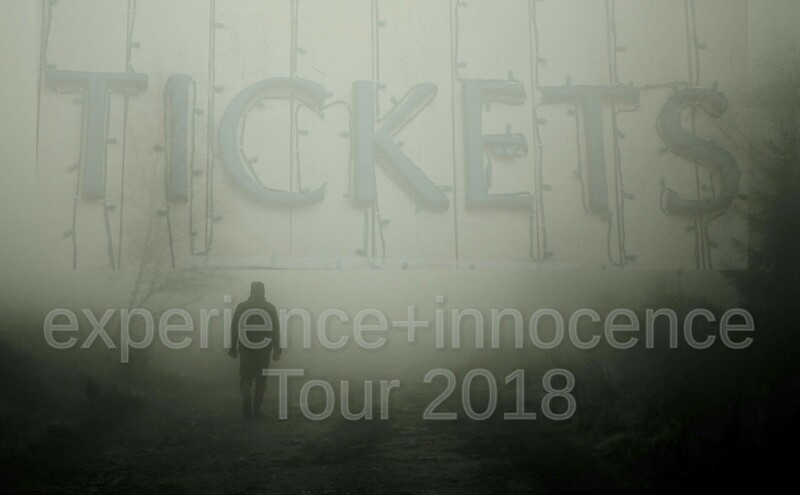 We write to you today on behalf of your many fans who are troubled by their experiences during the November 14 and November 15 presales for the 2018 eXPERIENCE and iNNOCENCE Tour. While we don’t expect you to know the minutiae of what transpired, we feel it is important that you are aware of the aftermath. Unfortunately for everyone, that proved not to be entirely true. Many fans learned (some of them after presales had begun) they would not receive special presale codes, that their subscriptions made them "eligible to receive an invitation” to the "U2.com Subscriber Presale” - i.e., that their subscription effectively only bought them entry to a lottery for the chance to buy tickets. As a result, more than a few subscribers - including decades-long fan club members dating back to the early days of Propaganda - were shut out of the presales and as yet have been unable to purchase tickets for the 2018 tour. Please understand this goes beyond fans’ disappointed about not getting tickets. Because these developments contradicted information provided by U2.com, many felt blindsided and have expressed dismay about a perceived lack of transparency in the presale process. - The rescinding of presale access. Many fan club members received emails from "the U2.com team” confirming their registration for the presales and telling them to expect presale codes to arrive by text, only to receive a second email hours later rescinding the first and informing them they would not be receiving an access code (i.e., they would not be able to participate in that presale). - Inconsistent, incomplete, and/or contradictory information. In communication with subscribers, the language used to describe presales before they began was imprecise and confusing. At no point leading up to the presales were paid subscribers told (explicitly or otherwise) that they would be entered into a lottery or pool to determine access to ticket presales - a significant change to historical subscription benefits. Subscribers who contacted customer service representatives seeking clarity about the terms of the presales - before, during, and after they took place - received information that was, at best, unsatisfactory. Customer service reps gave different, sometimes contradictory answers to questions, and offered inconsistent resolution options to subscribers. - Delays in issuing codes. Some subscribers received their access codes only after presales had begun - in some cases up to 48 hours later - when ticket inventory was depleted, or gone. - Confusion about subscription renewals and Verified Fan. Information about ticket presales posted on Oct. 31 and Nov. 1 led to much confusion amongst subscribers. The Verified Fan process was introduced but never actually explained to subscribers who were left to their own devices to find information about what it is and why it was being used for presales. Some found having to share personal data as a requirement for presale access off-putting - even more so when, after parting with their data, they were shut out of presales because their access codes never arrived or arrived too late. - Ticket allocation. Many fans have raised concerns about the seeming disparity between the ticket limits imposed for U2.com subscriber presales (2 tickets) and those imposed on cardholders in the CITI presale (4 tickets). For example, restricting subscribers to a single pair of tickets makes it nearly impossible for families to see your shows together. Additionally, GA tickets were unavailable for many in the Nov. 15 ("Innocence”) presale, but were available the next day in the CITI presale. The Verified Fan process has been invoked to keep tickets in the hands of real fans - a noble goal that we support. And yet, when exorbitantly marked-up tickets show up on resale sites anyway - StubHub actually emailed its members with instructions for how to sell their U2 tickets and the show markets with the highest demand - we question its efficacy. We know that music is a business. You have the absolute right to conduct it in any way you choose. But as U2 fans, we believe we’re more to you than "just” a business. We’re a tribe - your tribe - a community, a church without walls built upon trust and loyalty. You’ve earned ours, and we’ve earned yours over these many years. At the moment, many in our tribe feel mistreated. They are hurting. We are as sure this was not your intention as we are that you will find a way to correct the system and make it right. We would be happy to collaborate with you to find a resolution. A final word of thanks to Guy Oseary for his recent direct outreach to affected fans. It is greatly appreciated. Dear John and everyone that worked on putting together a very helpful overview of thoughts and questions..
thank you for getting in touch with me and the management team, I appreciate this line of communication..
As mentioned before, this ‘Verified Fan’ process is about ensuring real fans get tickets and not scalpers or bots. This has never been attempted at such scale. We have learned a lot thru this process. I’m going to try and address the key issues you’ve raised one by one but first up, as you’ve seen, a series of second dates in many North American cities were announced earlier today and any verified subscribers who’ve not yet used their presale codes will be able to enter presales for those shows. More than a few people were frustrated with their experience last week and ended up with no tickets - this is a small compensation, a second chance to enter the presale. Ahead of day 1 of the presale longtime subscribers were sent an email confirming that they were ‘verified’ and this was followed by a text message with the code they needed in order to take part in the presale. It was a smooth process for these people and they got the tickets they wanted. A group of legitimate subscribers got caught up with the emails of some ‘bad actors’ ( ie brokers, scalpers etc) and they received an email rescinding verification. This was down to an algorithm error and as soon as it was discovered these names were researched individually, multiple known brokers removed and then the text message with presale code was sent to this group. Unfortunately because of the time this took, they received their code later and their choice of ticket was reduced in some venues. Since then we’ve reached out individually to several hundred people with information on how they can get the tickets they need and that work continues. The letter mentions ‘inconsistent, incomplete and/or contradictory information’ and I’ve looked into this. Some subscribers, who contacted Customer Services when their code hadn’t arrived, were told that the Verified Fan programme has a ‘lottery’ element and doesn’t offer a guarantee of participation in the presale. This was erroneous information coming from some CS people who seem to have confused our Verified Fan programme for the e&i tour with those of other artists.There is no lottery element. Once a subscriber has filled out the verification details and the Setup Complete form turns GREEN, the verification process kicks in and as soon as someone is verified they are automatically emailed. Subscribers are sent emails confirming verification status the night before presales begin. Everyone verified gets the presale code, it’s not a lottery. As this algorithm was imperfect (see above) more data has now been added to improve it but when someone is flagged in this process as a broker, we will now build in more time for them to be individually reviewed by a real living human being so we can be certain this isn’t flawed information. We want to be absolutely sure the process of verification does not inadvertently eliminate genuine subscribers in the process of eliminating scalpers. If and when genuine subscribers don’t get the verification email and code, they can contact us and we will work to quickly get them a code. There wasn’t any delay in the issuing of codes, except the group I mentioned above. The Verified ‘experience’ group of longtime subscribers was messaged with codes 2-4 hours before the day 1 presale and the ‘innocence’ group 2-4 hours before the day 2 presale. It’s possible that not everyone realised that in the process of verification, the ‘Setup Complete’ form turning green is when the process of confirmation begins. Only when an email arrives confirming verification is the process complete, triggering the unique code to be sent by text. Multiple emails explaining the verification process were issued but we’re now explaining this process more clearly in case it was the cause of any confusion. Finally the letter raises the question of ticket allocation and the U2.com subscriber allocation being two tickets while the CITI presale offered four. Two is what we have always offered when the band are playing indoors in arenas with smaller capacities and what we wanted to do this time was ensure that subscribers were FIRST in line for presales which they have been. Meantime everyone is working tirelessly to reach any subscriber who hasn’t yet got the tickets they were after last week, and with these new shows being added hopefully everyone will be taken care of in the next few days. I really value the wisdom and insight that the group of you have brought to this process and would like to suggest that through John we set up a mechanism so that every so often we can convene around a band-related subject. Maybe we can get your take on a new idea or fans can offer their thoughts/suggestions on a route management might like to consider. It would be good if something positive came out of this - and thanks again for your support for the band.